This pack is great for someone getting started in the Youngevity® business or for families wanting additional savings. The Introductory Value Pack was created to include many of the most popular Youngevity® products in one pack at additional savings from our Distributor Wholesale price and it is available to both Associates and preferred customers. The pack even includes samples and business forms that can help get your Youngevity® business on the fast track or could even help you get your products paid for by referring others to Youngevity's® fantastic products! See individual products for supplement fact information. Well quite simply, it's a little bit of everything. Doc has bundled some of its most popular nutritional products and personal care items together in one package to help jump-start new Associates. It is also designed to help leaders qualify for higher rankings and ultimately bigger commission checks! This is a one item purchase to help make sure you qualify for the "Quick Start Bonus" program. Just think, all of these benefits and a volume purchase discount too! Doc Wallach wants to help the new associate and the business leaders. That's why we have added five copies of our most used forms in this package as well. This saves you money on forms that you need to run your business or on copies that don't look professional. FREE SAMPLES: 2 Nature's Whey™ Single Bars (Chocolate), 2 Nature's Whey™ Single Bars (Raspberry), 2 Rebound Fx™ Berri Boost Samples, 2 Rebound Fx™ Tropical Tirade Samples, 2 Osteo-fx™ Samples, 2 CM Cream™ Samples, 2 Cheri-Mins™ Samples, 2 Nu C™ Samples, 4 Chocolate Caramel Lovers Dream Diet™ Chew Samples, 2 Nu O™ Samples. 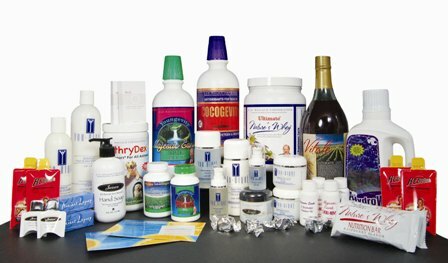 MARKETING MATERIALS: Youngevity® Catalog, Cocogevity™ Flyer, Vitale™ Flyer, Beyond Juice™ Flyer, Colloidal Mineral Skin Treatment Brochure, Comp Plan Brochure, Intro to Youngevity® Brochure, Slender fx™ Brochure, Mineral Makeup Flyer, Rebound Fx™ Flyer, AutoShip Order Form, Product Order Form.